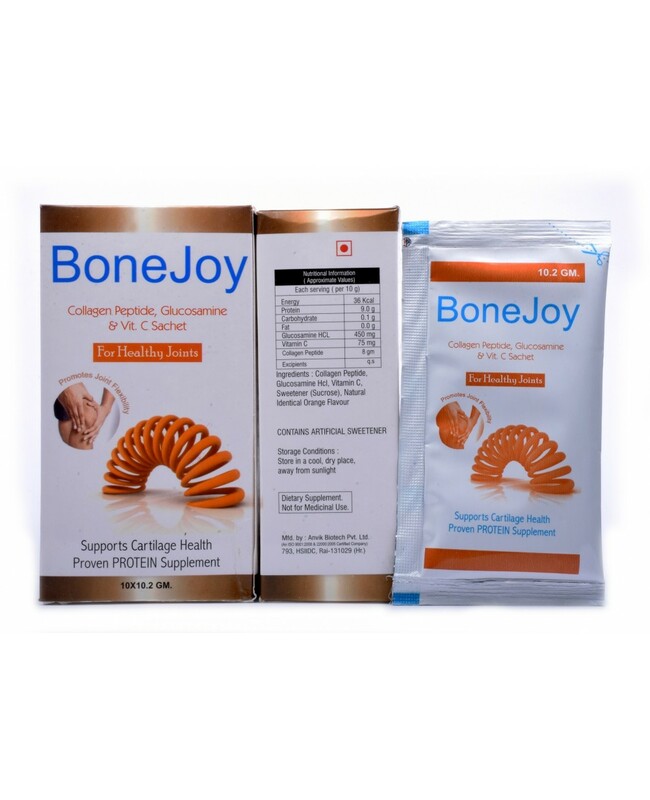 Arlak Bonejoy Sachet consists of bioactive collagen peptides which help in strengthening the cartilage and maintain the flexibility of joints. 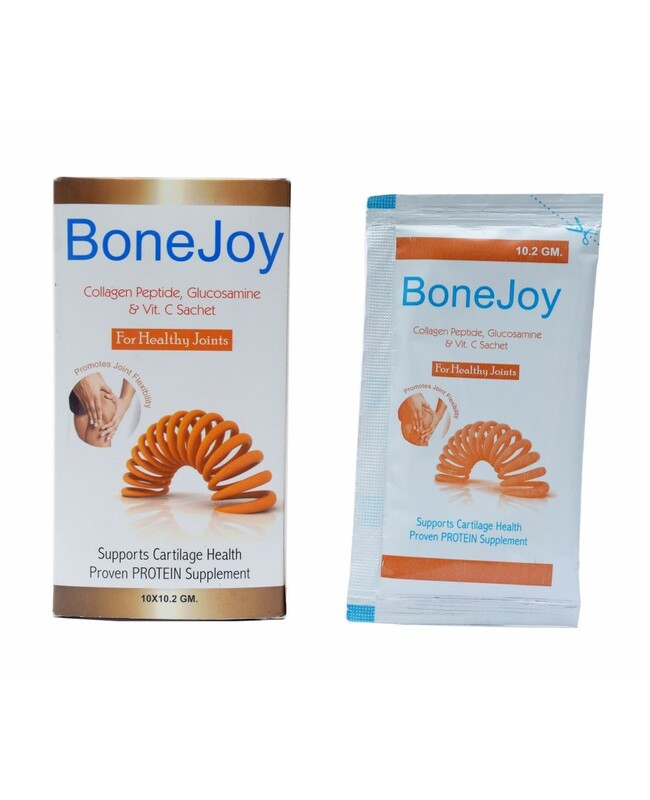 It consists of Ingredients like Vitamin C, Glucosamine, Collagen Peptide. These All ingredients helps to maintain the complete joint health.